All the stress and fatigue that often goes along with the Holidays commonly causes a cold sore or canker sore for those prone to them. The last thing you want now is a big, honking cold sore displayed prominently around the month. Nor do you want the excruciating pain of a canker sore in the mouth to make eating, drinking or talking almost impossible. Especially eating. No, wait – drinking. Hmmm-make that talking. Aw geez – ALL of it! 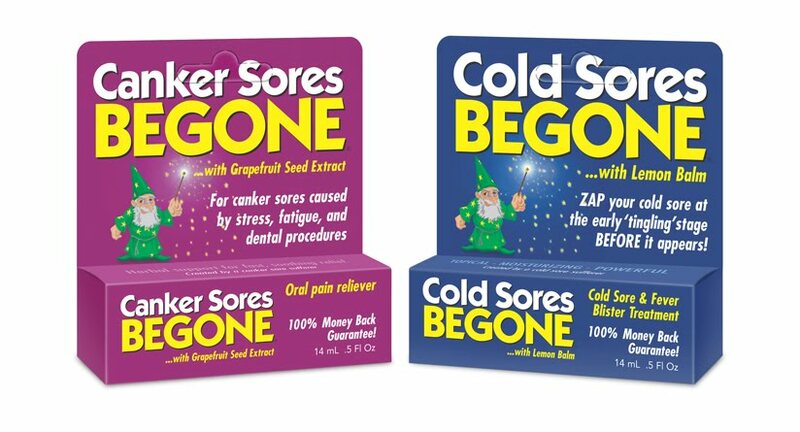 Cold Sores Begone® will prevent that little cold sore of yours from erupting. Yep. A few dabs at that dreaded tingling feeling, the infection is aborted, no cold sore, good to go. Canker Sores Begone®, for most folks, heals the ulceration within 24 hours to a few short days. No worries. Safe for even small children, non-toxic, herbal topical formulation. Endorsed by PREVENTION Magazine, no less.